The information about the Keynote Speakers of ICEENR2019 is as follows, which will be updated regularly. Biography: Dr. Dai-Yeun Jeong is presently the director of Asia Climate Change Education Center based in South Korea. He received BA and MA degree in sociology from Korea University (South Korea), and Ph.D in environmental sociology from University of Queensland (Australia). 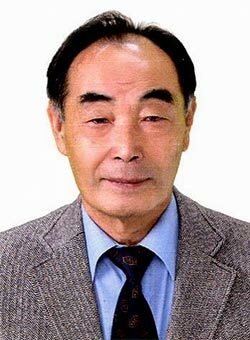 He was a professor of sociology at Jeju National University (South Korea) from 1981 to 2012, and served as the president of Asia-Pacific Sociological Association from 2002 to 2004, and as a delegate of South Korean Government to UNFCCC from 2003 to 2004. He published 13 books including Environmental Sociology. Abstract: It has been scientifically proved that the emission of human-induced greenhouse gases is the major contributor to climate change. A variety of strategies are being implemented to reduce the emission of human-induced greenhouse gases at a global, national and regional level for achieving low-carbon and carbon-neutral society. However, the ultimate goal of climate change strategy is to achieve carbon-free society which is the state of climate before industrialization has been advanced in the 18th century. Nonetheless, it is quite rare to establish the framework of carbon-free society. In the context mentioned above, this paper will present a framework for achieving carbon-free society through overcoming the limitations inherent in the existing framework promoting low-carbon and carbon-neutral society. The presentation will be composed of three parts. First: The difference in the concept and implication of low-carbon, carbon-neutral and carbon-free will be examined. Second: The limitations inherent in the low-carbon and carbon-neutral frameworks will be critically examined in terms of their strategies for achieving the state of climate before industrialization has been advanced in the 18th century. Third: A framework for achieving carbon-free society will be presented in a way to overcoming the limitations inherent in the existing low-carbon and carbon-neutral frameworks, focusing on overall direction of nature-based and technology-based approach, major socio-economic sectors and strategies to be included, and methodologies for analyzing the efficiency and effectiveness of the strategies. No country/region currently has all requirements necessary for promoting carbon-free society. In this context, as a concluding remark, what capacity should be built will be discussed. In a word, the key significance of the presentation is in seeking for the direction and contents of achieving carbon-free society which is the ultimate destination of climate change strategy.